This statistic displays the share of households with one or more computers in Belgium from 2006 to 2017, by region. 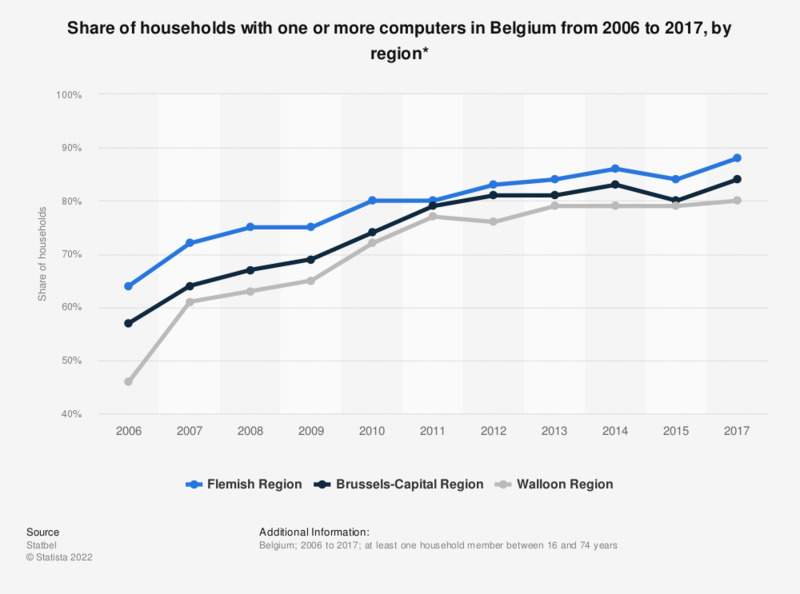 In 2017, 84 percent of the households in the Brussels-Capital Region had one or more computers available at home. Belgium is divided into three regions: the Flemish Region, the Brussels-Capital Region and the Walloon Region. Each region has its own Regional Parliament and a Regional Government. * The source does not provide numbers for 2016.